After the ceremony at Soka University I took the whole bridal party and placed them in front of this great wall with poetry written on it. The bridesmaids and groomsmen stood behind the bride and groom. Such a fun group, I love how they wore converse shoes with their formal suits. The girls wore a burgundy summer dresses. 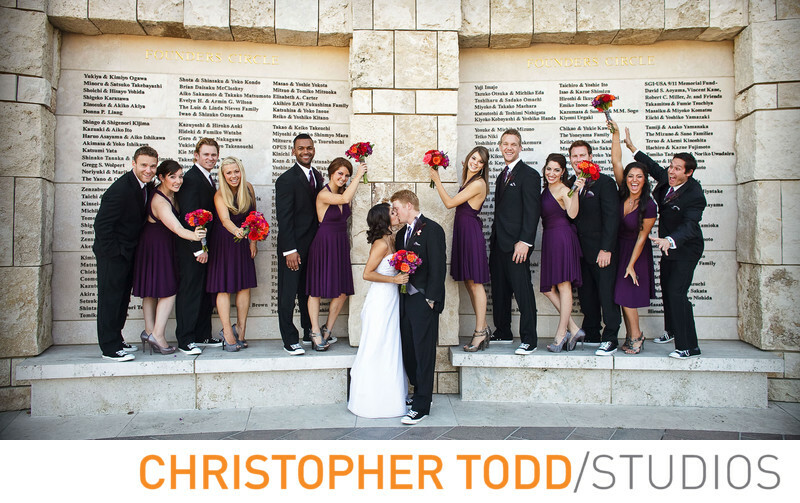 The bride and groom are seen here kissing while the bridal party cheers them on. Location: 1 University Drive, Aliso Viejo, CA 92656.